It’s no secret that online businesses are growing at a much faster rate than brick-and-mortar storefronts. 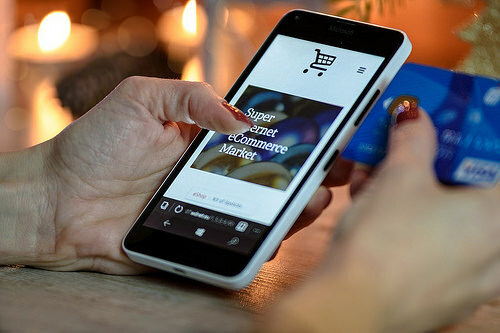 Aside from customers wanting more convenient shopping options, online shopping provides ample opportunities for advertising and influencing, but it all begins with starting an eCommerce site. If you’re at the stage in your business where you’re ready to create an eCommerce website, this how-to guide will not only help you get started but also boost your chances for a successful launch. While taking your business online gives you more opportunities to find success, many entrepreneurs fail because they fail to develop a strategy before getting started. Researching the process of developing an online store is essential before making that first leap into the unknown. Part of your strategy should be knowing which products you’re going to sell. In many cases, you may already have a product that you’ve been selling at craft fairs or even in your own brick-and-mortar shop, but you want to take it nationwide or even global. This requires you to create an eCommerce website. Before anything else, do some research to make sure your product is viable. Does your product already exist? Is it being sold by a major online retailer? Or do you have a fresh idea that’s unique enough to break into a competitive market? A simple research strategy for determining if a product is viable is to perform some basic keyword research. Google Keyword Planner can help you determine if people are searching for the type of product you’re offering. This tool can also help you generate ideas for product descriptions, product names, and website content. You may be wondering why we’re not jumping into starting the actual eCommerce site yet. That’s because finalizing the details of what you’re offering should always come first. You’ve developed your product and researched its viability on the online market, which is great, but now you need to figure out a good pricing model. Products priced too low cause business owners to lose money or only break even, which doesn’t justify the time and effort spent on making the eCommerce site in the first place. The percentage PayPal and credit cards take from each sale. Once you’ve figured out these details, you can then add the amount you wish to pay yourself to make a profit. To avoid charging too much for your product, see how your competitors have priced their offerings. Free shipping for orders over a certain amount. Many customers abandon their online shopping carts when they see excessive shipping and handling costs, so even if your product is priced slightly higher than a competitor’s, you can still come out on top with competitive shipping options. Branding is a huge part of leaving a lasting impression. Ask yourself what you want your customers to think of when they hear about your business. Brainstorm some phrases, words, and even colors that resonate with your vision and what you’re selling. As long as these ideas aren’t already copyrighted, you can implement them into your business and domain name as well as create an eCommerce website with a clear focus. Establishing a tone of voice for the brand. Creating a slogan and tagline. Creating a memorable unboxing experience. Never underestimate the power of your brand. The time you spend hashing out these details will pay off when customers automatically picture your website, logo, or slogan at the mere mention of your product or company name. Starting an online business has never been easier. There are essentially two options for starting an eCommerce business: building your own eCommerce website or using a marketplace that already exists, such as Amazon, eBay, or Etsy. While using a preexisting marketplace certainly has its benefits, those who find success through those venues often turn to starting their own website to avoid marketplace fees. With your own website, you’re only responsible for your own business costs and web hosting, and you’ll never owe a percentage of every sale to Etsy or eBay. Of course, building your own eCommerce site is a daunting task. That’s why many business owners utilize full-service agencies like IronPlane to create eCommerce websites. Using IronPlane allows you to set realistic product prices, add a shopping cart, and create an intuitive shopping experience that allows you to focus on selling instead of complicated backend procedures. Before you can start selling, you’ll need to set up a merchant account to accept customer payments. A merchant account is essentially a bank account that allows you to accept credit and debit card payments. PayPal is one of the most recognized merchant accounts, but others include major banks like Chase and those focused on small businesses like PaySimple. The downside to having a merchant account is that you’ll be charged a nominal fee for processing each transaction. However, having the ability to accept credit cards will send more customers your way, helping you earn more profit in the long run. If you turn to an agency like IronPlane to create your eCommerce website, you won’t have to worry about setting up a merchant account yourself. Full-service agencies set up merchant accounts themselves, giving you the ability to accept multiple payment methods in one convenient business-to-customer solution. This isn’t even mentioning the fact that IronPlane offers numerous other benefits, including automated marketing, multilanguage capabilities, and customer loyalty programs. Creating a successful eCommerce website takes some time and effort, but the potential payoff is worth it. Turn to a full-service agency to streamline the process and give you the freedom to focus on selling.